Here's a superb UK Slot Game, the story of The Pied Piper of Hamelin is set to return as Quickspin has developed another fantastic title. Pied Piper is set in the feudal town of Hamelin where the famous mouse-catcher prowls the streets with his magic pipe. This 5x4 reel slot has 40 pay lines on offer and is set in the enchanting, cobbled streets of Hamelin. 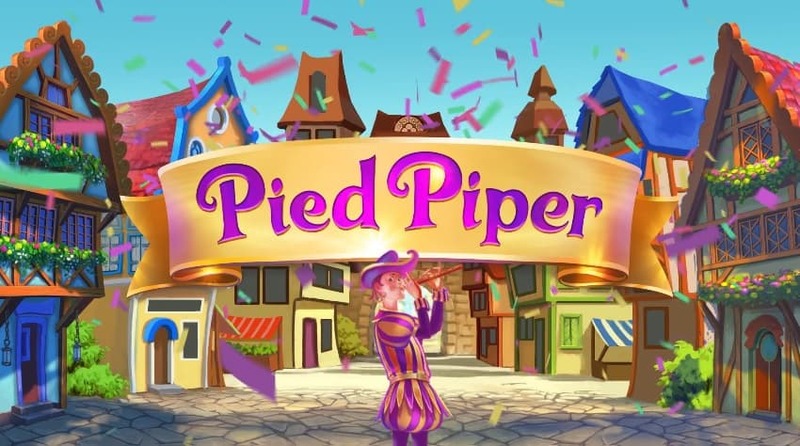 Thankfully for you, Pied Piper has the potential to become a legendary slot due to its abundance of generous bonuses and in-game features. If you hear that magic pipe play, then you’re in for a good time playing this slot. When you begin to play Pied Piper, you’ll be greeted by cheerful and joyous music that sets the scene for a medieval theme. Although the main aspects of the game are geared towards bonuses and features, the base game has plenty of potentials. The 10, Jack, Queen, King and Ace are the lower valued symbols that will appear more often than not. Whereas, the medium value symbols relate to the theme of the game much more, such as Gold coins, silver keys, the mayor, the mayor’s wife and his daughter. PIPER RESPINS – When a Piper WILD lands and fills the entire reel, the respins are triggered. Any Mouse WILD that is present on the reels will move one reel to the left for each re-spin. MYSTERY RE-TRIGGER – The only way to activate the Mystery Re-trigger is by hitting The Piper symbol on reel 5 on the last spin of the Piper Respins Feature. FREE SPINS – By hitting 3 Bonus SCATTER symbols, you’ll activate the Free Spins round and receive 10 free spins. In addition, between 1 and 6 Mouse WILDS are added to the reels for each free spin. MYSTERY RESPINS TRIGGER – You can trigger the Piper Respins feature when a mystery Piper WILD appears after a free spin. 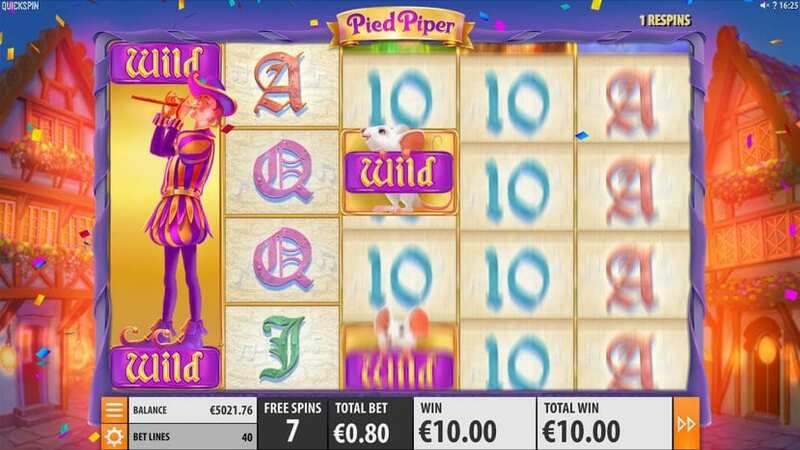 Pied Piper is not only a visual masterpiece, but the gameplay and in-game features are proof of why Quickspin have been so successful in the online gaming industry. Although this slot can have its moments of high volatility, a bonus feature is always just around the corner. Enjoy your trip to Hamelin and if the Pied Piper keeps paying you a visit, the possibilities are endless. If you enjoyed Pied Piper why not try Justice Machine.